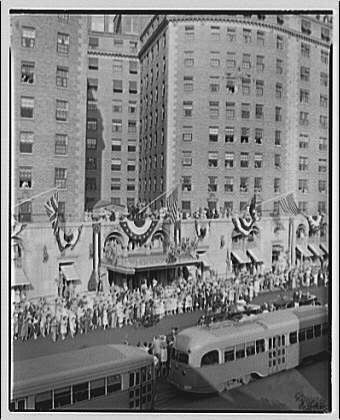 Ronald Lindsay’s tenure as Ambassador to the United States finally came to an end in the summer of 1939, following the King and Queen’s trip to Washington and then on to New York. Lady Lindsay, exhausted from the preparations and attending criticism of those events, struggled to pack up from the Ambassador’s Residence, her main home for the past nine years. Her friend and editor of her letters, Olivia James, noted: “It is a pity that Elizabeth had neither time nor heart to write a description of the Royal Visit.” Friends acknowledged the ordeal she had been through; Mildred Bliss of Dumbarton Oaks, a Foreign Service wife herself (who with her husband Robert attended the Royal garden party) wrote to her at this time that she knew of no one “in or out of Diplomacy, who has more generosity of spirit and less bitterness”. 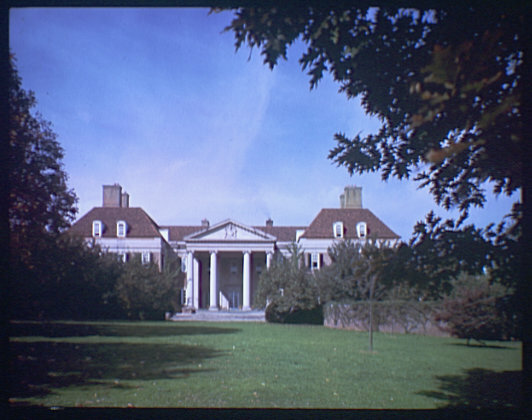 July 2nd 1939 Dumbarton Oaks Georgetown Washington D.C. The fund for the farewell gift to Elizabeth Lindsay reached $1357. With it we had designed and made a brooch-pendant, of which a photograph is enclosed. As you will see, it combines the white rose of England (a carved moonstone), the thistle of Scotland (carved amethyst) and the goldenrod of the United States (carved topaz). The leaves are of green onyx and the stems of the spray outlined with enamel. The encircling ring and the loop are set with amethysts and onyx. 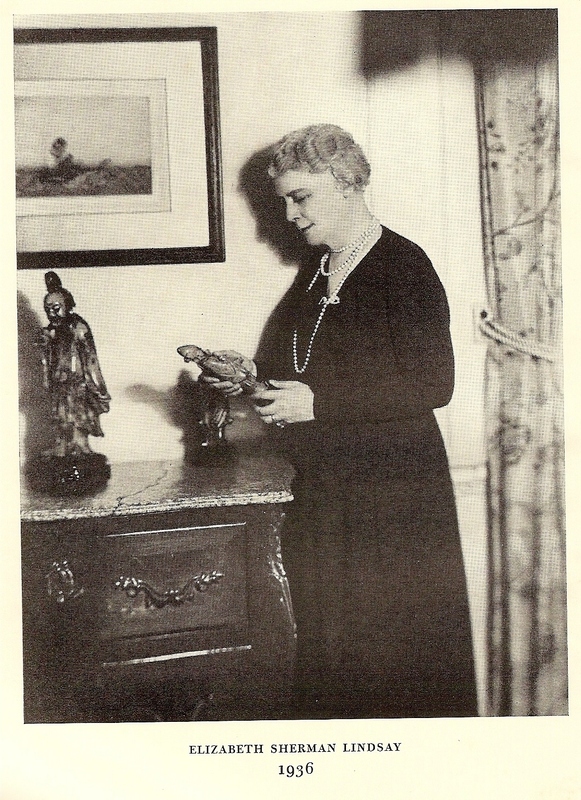 Frontispiece of The Letters of Elizabeth Sherman Lindsay, showing the jade figures given her by the Blisses. Corresponded quoted form the Harvard University Archives, Papers of Robert Woods Bliss and Mildred Barnes Bliss, HUGFP 76.8, Box 28.